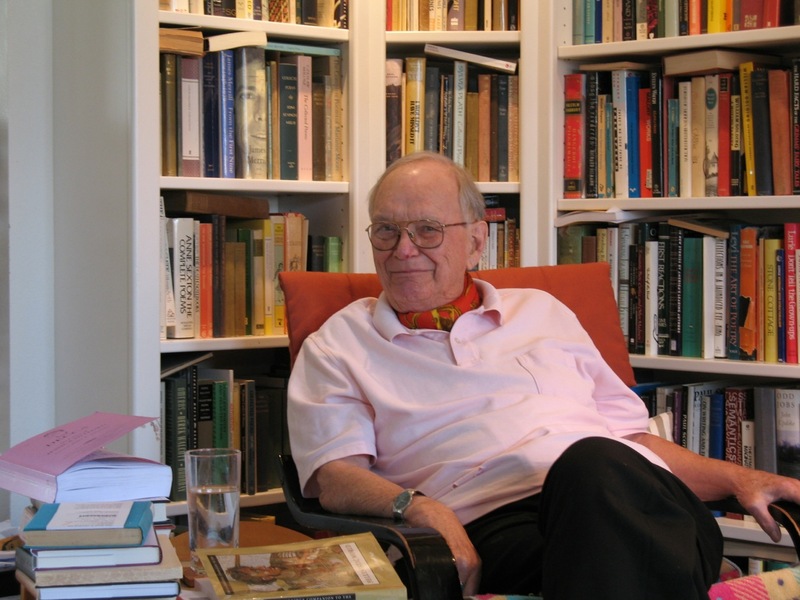 One of the most prolific scholars of the ancient world, Peter Green is noted for his works on the Greco-Persian Wars, Alexander the Great, and the Hellenistic Age. While one of his most famous books, Alexander of Macedon, is a biography of Alexander the Great, he is also quite well-known for his engaging translations, such as his 2015 translation of the Iliad, and now his recent translation of the Odyssey, just published in March. A poet and a scholar, Green’s translations are celebrated for their clarity, fluidity, and energy, and for capturing the feel of the original texts. Here he answers five questions about his approach to Homer—and which poem proved to be more challenging to translate. 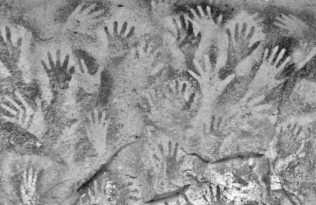 How has your expertise as a historian helped shape your understanding of The Odyssey or of Homer? Largely by clarifying the chronology and the relevant social assumption, e.g. it was clear to me that the world of the composer of the Odyssey had to be a crucial half-century or so later than that of the Iliad—look at the significant change in the Olympian gods’ morality! Xenophanes’ criticisms had had a marked effect—and from its context almost certainly that of the 7th century BCE, as you’ll read in my introduction to the Odyssey. Undertaking the translations of The Odyssey and The Iliad seem like such daunting tasks. What compelled you to translate these texts? For years I’d lamented the missed opportunity. In the Fifties I’d been part of Donald Carne Ross’s BBC Third Programme Homer team. I’d done some Homer translation then. But of course other things took up my time. It was quite late in my retirement that the scrutiny of yet another sloppy version left me thinking, “God, I could do better than that!” And sitting down to rough out a version of Iliad. UC Press Editor Eric Schmidt happened to ask me what I was up to; rather embarrassedly I told him. He asked to see the draft, and the rest, as they say, is history. But there’s a twist to this. Obviously I checked back with my old versions. Of all I’d written then, only three lines found their way into my final version. The wait had been profitable. I’d learned a lot about translating poetry in the interim. As for what first impelled me to translate Homer, what, I asked myself impels a cellist to create yet another version of J. S. Bach’s six unaccompanied suites? Both are at the summit of creative art. Why else? Was either more challenging than the other to translate? Yes, and very unexpectedly—see my introduction again—it was the Odyssey that proved far harder: its language was far more complex and ambiguous, especially in the dialogue, its vocabulary was much more extensive, its grasp of realien* marked a considerable advance on its predecessor. It exemplified in no uncertain fashion the truth of the old translators’ maxim, that however often you’ve read an ancient text, it will still have some surprises in store for you when you sit down to translate it. 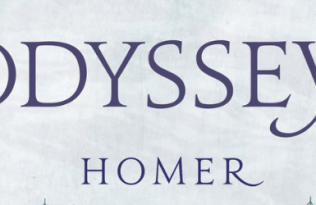 What are the key qualities a successful translation of Homer must have? This is a tricky one, since the temptation must be to cite one’s own key pursuits; but I do think that today, when there is, in the Anglo-American literary world, a degree of ignorance of the basic details of metrics, rhythmic effect, and poetic technique that would have astounded the Victorians —who today has ever heard of, let alone read, George Saintsbury’s great three-volume History of English Prosody? A thorough consideration of the age-old expertise in this region manifested by both Homeric epics requires careful consideration. To take one obvious example, unlike Greek or Latin, English poetry doesn’t have metre, only stress, so that when it tries to imitate the classical hexameter (which of course has both, playing off against each other) it sounds oddly flat. And when it decides (as has been so often the case) to replace the hexameter with the regular English line for epic, the blank verse pentameter, by using an iambic pattern to convey a dactylic one it at once reduces the speed of the line by almost fifty per cent—and Matthew Arnold, though he got so much wrong, was dead right to emphasize the natural speed of a Homeric hexameter. Thousands of years later, why do Homer’s epics still endure and what do they teach us today? 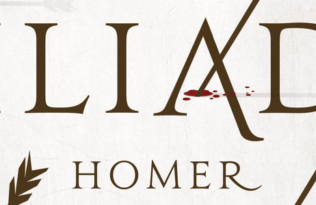 The Iliad has a peculiar fascination for us because it shows us, and is largely set in, a millennia-old tradition of inflexible moral certainties, which are only just beginning to be questioned. It also explores, by the clever use of similes, a world, like all worlds, where social structures are constantly threatened by the intrusion of warfare. The Odyssey grabs us by its opening up of that world to wonders beyond the horizon, and thus to the conflict between imaginary belief and remote actuality, both of which have their adherents. Both epics convey with an extraordinarily skillful use of language the worlds they describe, in both cases largely drawing on the accumulated oral expertise of untold millennia—an expertise which, even as they worked, was in the progress of being lost. * German plural, meaning ‘actual things,’ ‘realities’ in this sense. 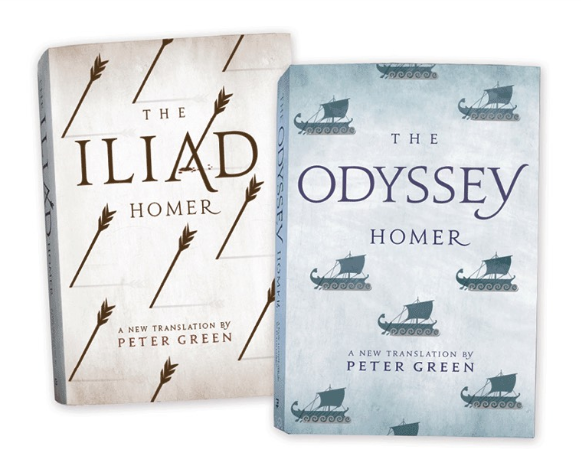 Read an excerpt from Green’s beautifully paced, swift, and lucid new translation of the Odyssey.